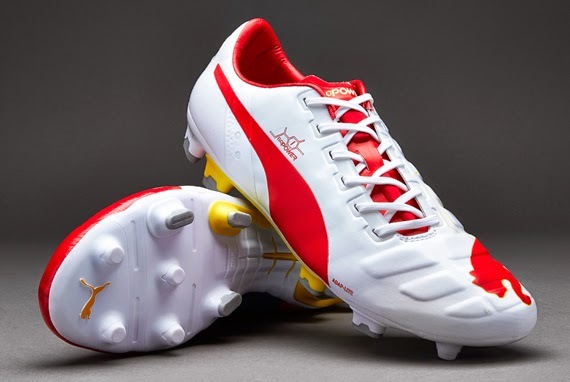 Engineered by Puma to mimic your barefoot kicking motion, the truly ground-breaking evoPower 1 FG football boots allow your foot to flex freely when striking the ball, liberating your natural shooting power and increasing accuracy. Constructed with an innovative premium microfibre material, the soft Puma AdapLite upper bends with the foot thanks to it's unique one way stretch to deliver maximum power while retaining it's shape against lateral forces. 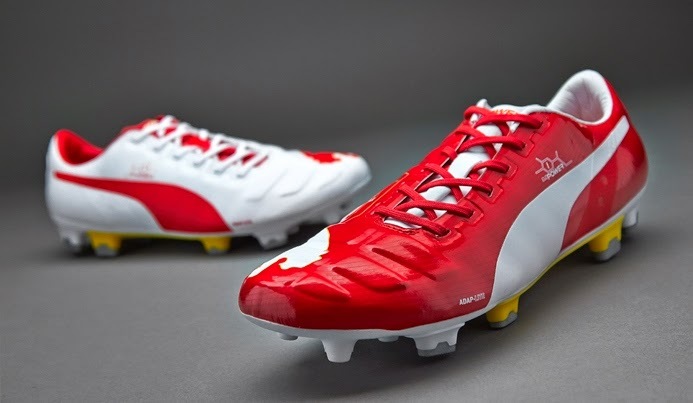 Applied underneath the AdapLite upper material, AccuFoam ensures even pressure distribution and creates a clean kicking surface to provide the evoPower 1 football boots with enhanced passing and shooting accuracy. Strategically located in the mid-foot, the external EverFit Cage offers the perfect amount of stability without constricting the flexibility of the foot or diminishing it's natural power. 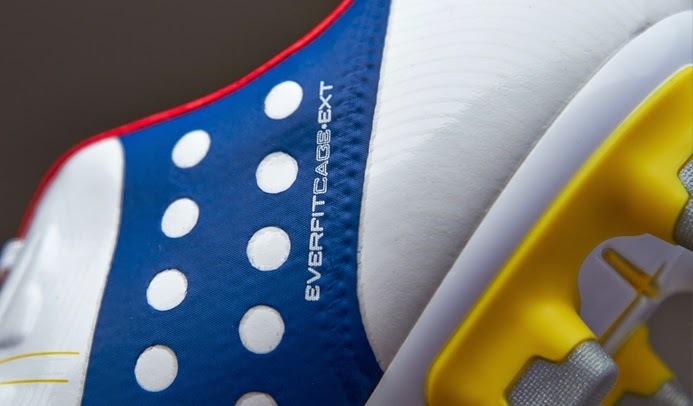 Ensuring a bigger range of motion for the foot and less pressure on the vital Achilles area, the heel cut out with a soft collapsible insert adds to the comfort of the evoPower 1. 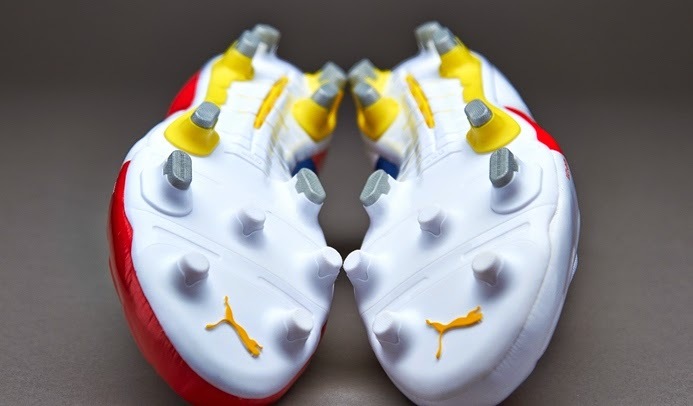 The Gradual Stability Frame has been designed by Puma to allow the lightweight anatomical Pebax outsole to bend in harmony with the foot and the one-way stretchable AdapLite upper. 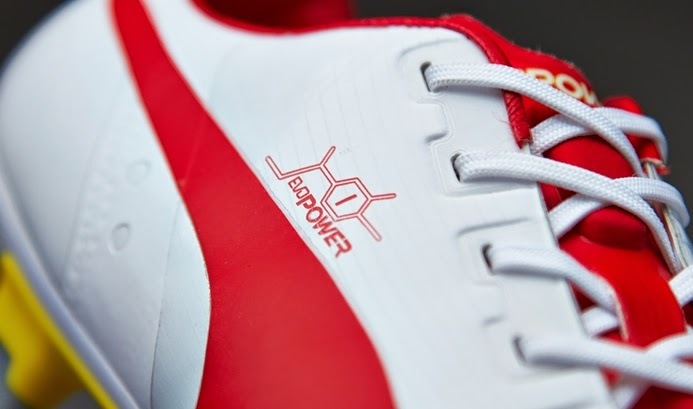 A combination of fixed bladed and conical studs gives the evoPower 1 football boots the perfect balance of stability and manouvrability on firm ground.